Versatile multiple pockets on both front and back. 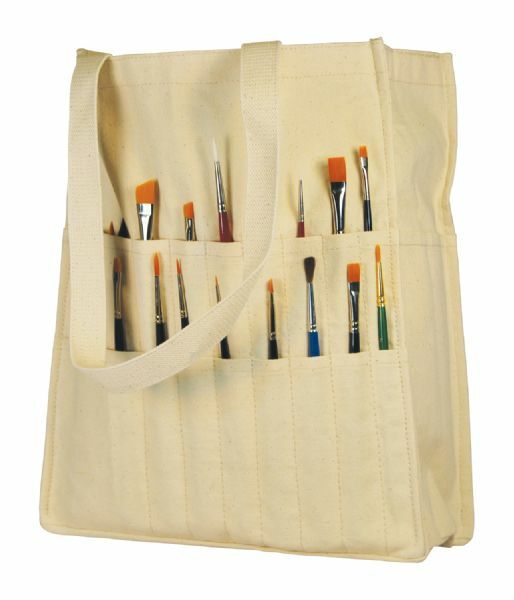 * Gusset allows ample storage capacity for brushes tools etc. Great bag for students and artists alike. 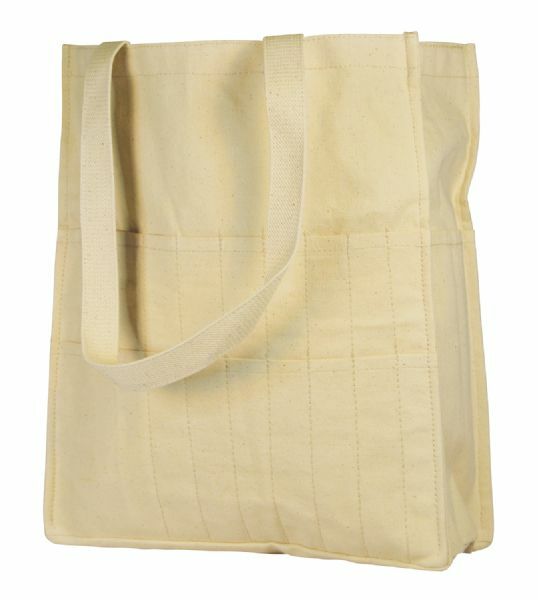 * Overall size: 12"W x 13½"H x 5"D.
* Made from durable 10 oz. natural canvas. The size is 5"d x 12"w x 13 1/2"h.
The type is tote bag. 11.8" x 6.7" x 0.8"